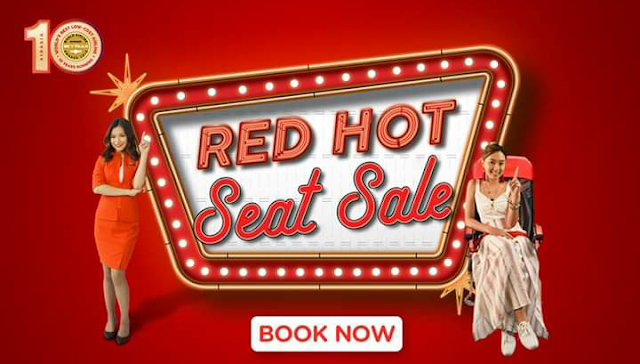 Airasia Seat Sale is one of great offers for an airline fare to have vacation or simply go home to our provinces. 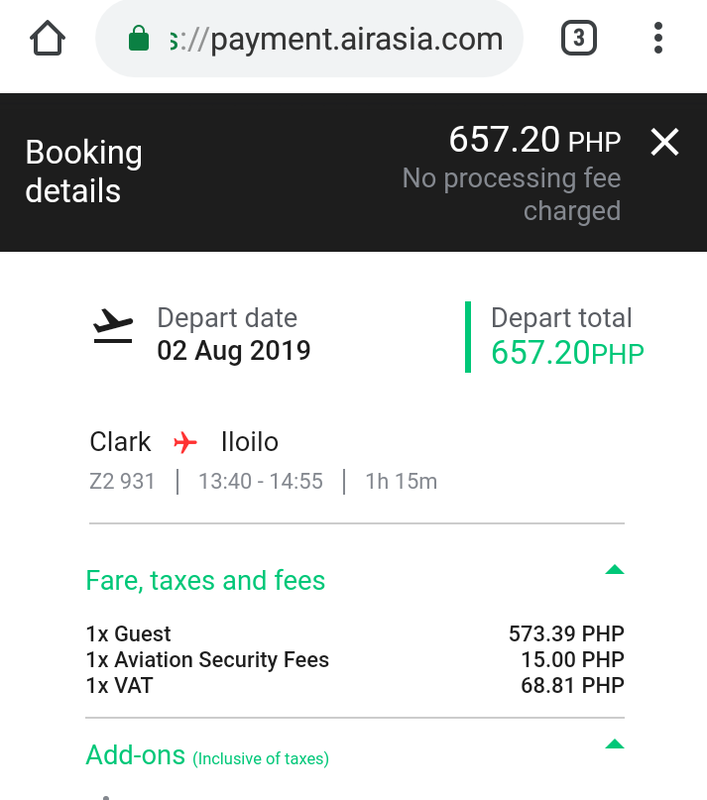 For early booking from Clark to Iloilo, an all-in airfare only amounts 657.20php with a base fare of 500php+. A booking sample is provided below with all the details. 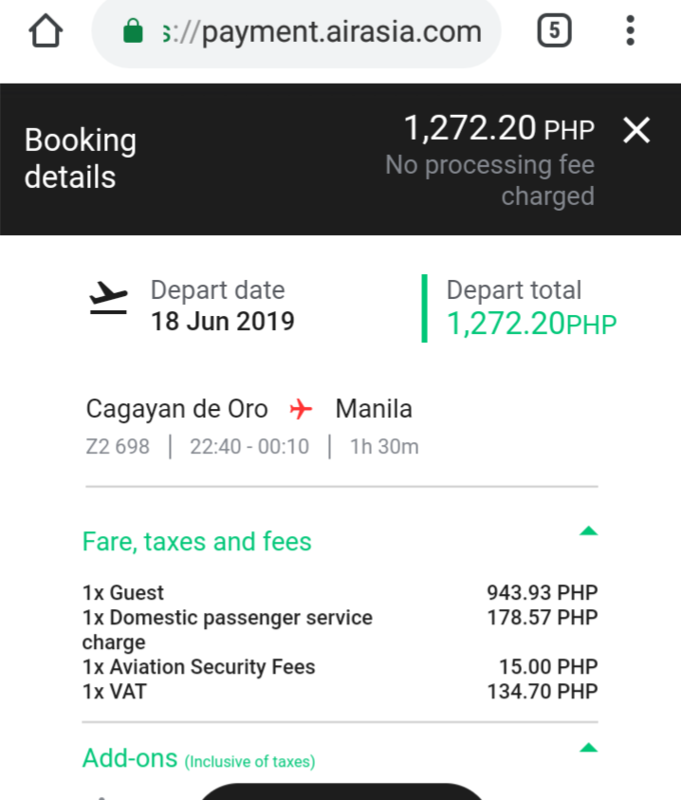 Second, the Cagayan de Oro City - Manila route only offers 1272.20php all-in that is a huge discount for Luzon and Mindanao flight. 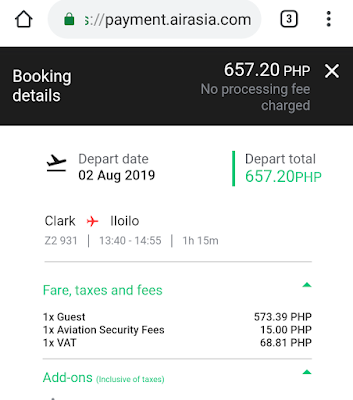 Visit Iloilo in the Philippines, it is known for Dinagyang Festival and Gigantes Island. For Cagayan de Oro City, also known as the City of Golden Friendship offers a gateway to best Dahilayan Adventure Park, Noahs Ark, Alkaline Pool of Ultrawinds, and Seven Seas Water Park. Night market every night and ease access to different malls. 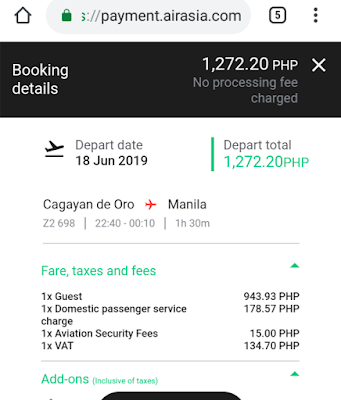 Travel period is from March 18, 2019 to August 31, 2019.